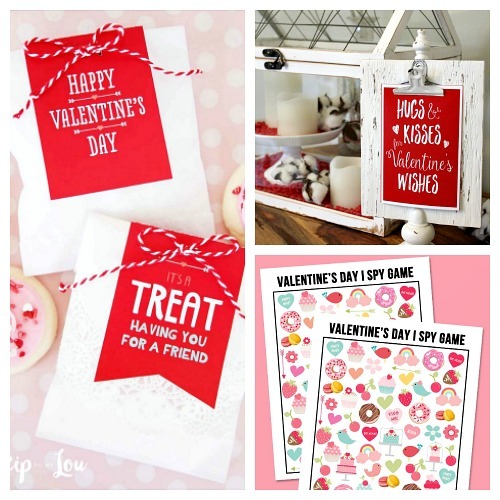 Free Valentine’s Day Printable Tags, Signs, Banners, and More! Valentine’s Day is on it’s way! Whether you want to update your home’s decor or get a cute printable tag for Valentine’s Day gifts, there’s a free printable out there that could be exactly what you’re looking for! 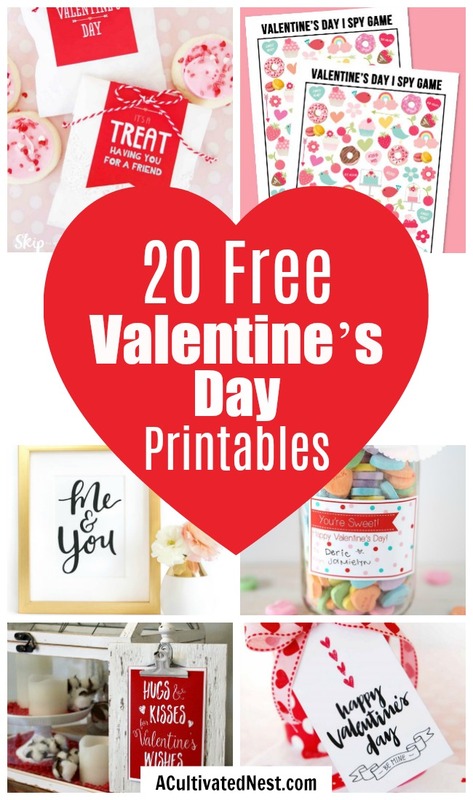 To save you time and help you find the very best ones, I’ve put together this collection of 20 Adorable Valentine’s Day Free Printables! 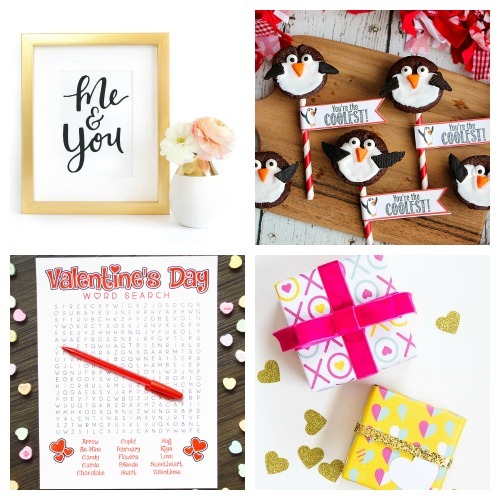 These 20 Valentine’s Day free printables include a big assortment for all sorts of Valentine’s situations. I’ve included cute wall art, romantic wall art, fun printable Valentine’s for kids, more heartfelt Valentine’s printables for adults, and several Valentine’s printables that would be appropriate for just giving to friends (making a number of them great for Galentine’s Day)! 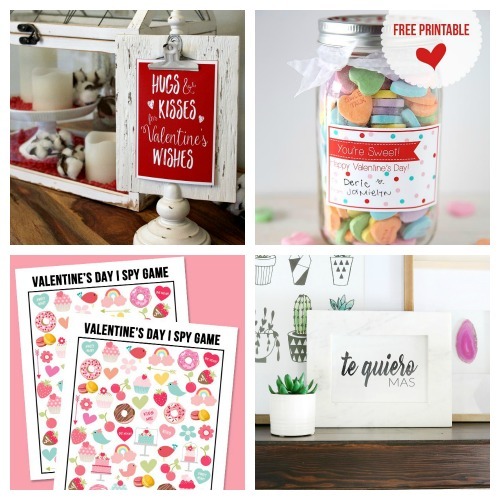 Take a look at all the great Valentine’s freebies below and print your favorites! 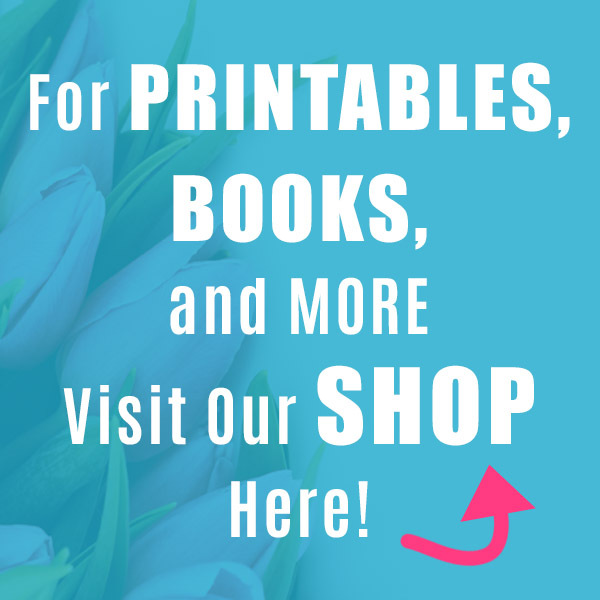 Free Valentine’s Day Printable Signs from cleanandscentsible.com. This is cute and classy Valentine’s printable decor! You’re Sweet Valentine’s Day Printable from iheartnaptime.net. Giving a candy gift? 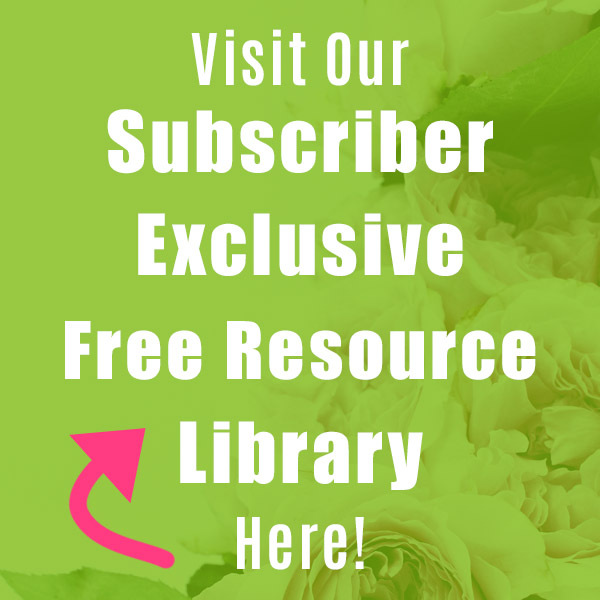 This free printable would be the perfect label! Valentine’s Day I Spy Free Printable from livelaughrowe.com. This would be a great way to keep the kids busy on Valentine’s Day! Te Quiero Mas Valentine’s Day Printable from thecraftedsparrow.com. This is such a romantic sign, yet beautifully minimalist! Free Valentines Day Tags For Your Treats from skiptomylou.org. All handmade Valentine’s treats need a cute gift tag! Free Beary Happy Valentine’s Day Printables from graceandgoodeats.com. 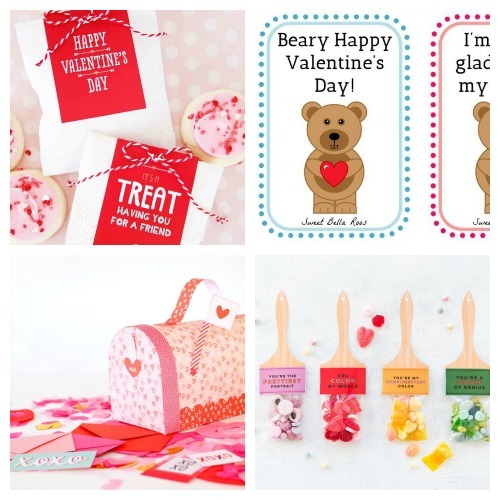 This cute bear Valentine’s printable tags would be perfect for kids! Printable Valentine’s Day Mailbox from damasklove.com. 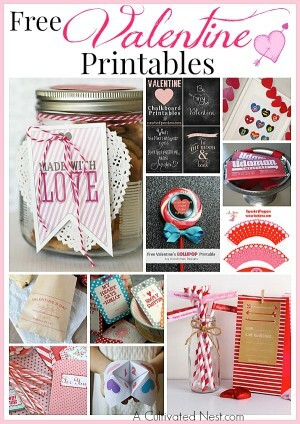 This is such a beautiful printable Valentine’s Day craft! Printable Paintbrush Valentines from thehousethatlarsbuilt.com. Isn’t this a cute and clever way to give a Valentine’s Day gift? Valentine’s Treat Bag Topper Free Printables from chelseasmessyapron.com. Printable treat bag toppers are a great way to customize your Valentine’s food gift! Free Printable Donut Valentine’s Day Cards from homemadelovely.com. Giving a donut gift, or just like donuts? 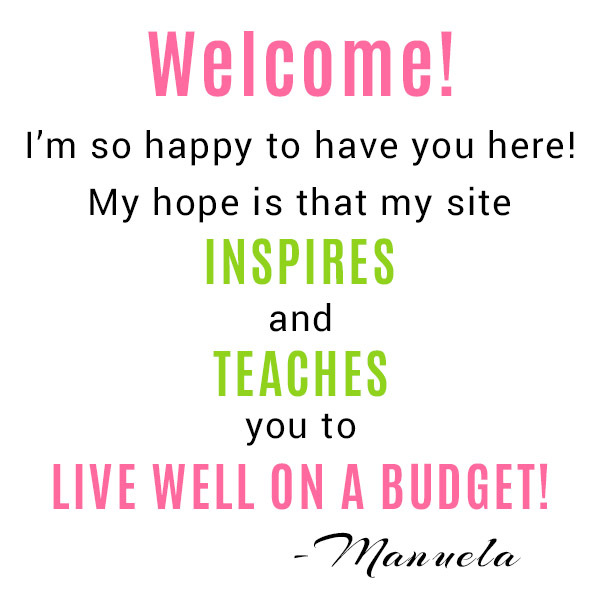 These printable tags are for you! Printable Cat Valentine Day Cards from thirtyhandmadedays.com. Both kids and adults would love to get these printable cat lollipop holder cards! Valentine’s Day Printable Decorations: “Kissing Booth” Bunting Banner from tatertotsandjello.com. I love using printable banners to decorate for different holidays! Me & You Valentine’s Day Printable from heyletsmakestuff.com. This hand lettered printable sign is so beautiful! Penguin Valentine’s Day Printables from cleanandscentsible.com. This post includes both a cute recipe and free printable tag to go along with it! Free Printable Valentine’s Day Word Search from artsyfartsymama.com. This printable is another great way to keep kids busy on Valentine’s! Printable Valentine’s Day Gift Wrap from lovelyindeed.com. This printable Valentine’s wrapping paper is an easy way to make your Valentine’s Day gifts look beautiful! Printable Valentine’s Day Love Banner from thirtyhandmadedays.com. Here’s another great free printable Valentine’s banner! Valentines Day Card – Fun Dip from thirtyhandmadedays.com. 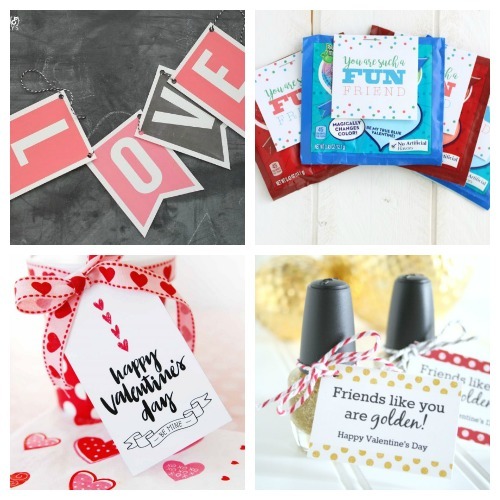 This cute printable tag could also go along great with other candies and Valentine’s gifts! Elegant Valentine Gift Tags from skiptomylou.org. This printable tag may be too classy for the kids, but would make your gift to your significant other look beautiful! You Are Golden Printable Gift Tag for Valentine’s from thecraftedsparrow.com. Given as-is, this would make a great Galentine’s Day gift. Or you could put this cute tag on any number of other gifts! I hope you found some cute free Valentine’s Day printables you can use! There are so many wonderful ones to choose from! 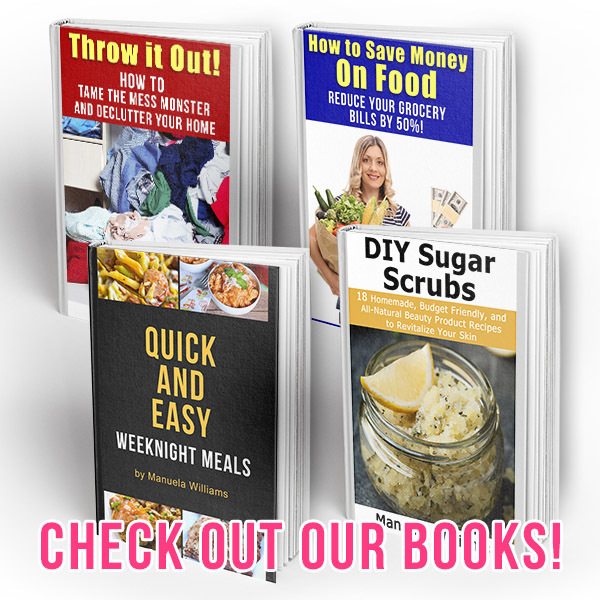 Don’t have the time (or printer ink) for printables? You can always find great Valentine’s Day tags and Valentine’s decorations on Amazon! 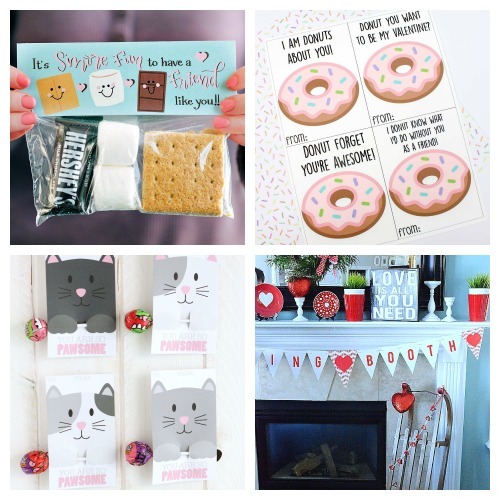 Which of these free Valentine’s Day printables are your favorites?